The idea of gamifying education has been around for a while now, so we decided to take a look at what makes games effective for learning and how you can gamify lessons as a way to get more from them. Playing has become a serious business of late. Educators and researchers are recognising that play is an essential part of childhood development and learning – as the renowned educator Maria Montessori once said, ‘play is the work of children’. But that’s children. Shouldn’t the rest of us simply forget about play once we grow older and wiser? An increasing number of educators, researchers and innovators are answering that question with a resounding ‘No’. 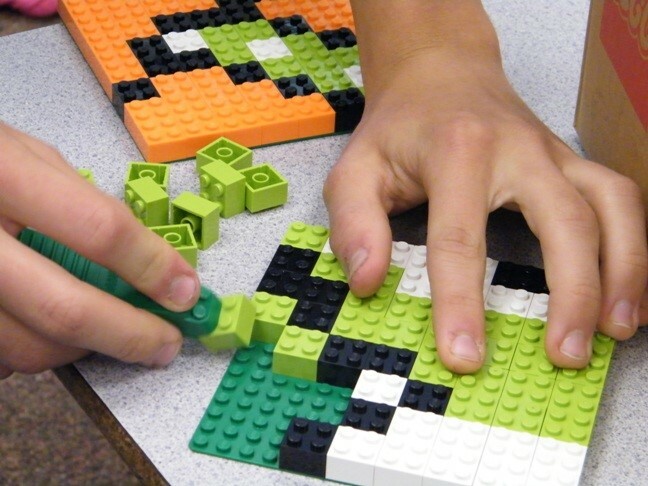 The reasons behind the strong support for gamification in the classroom are many: as game designer and author Jane McGonigal has noted in a video interview, games make us more curious, determined to succeed and better able to deal with failure. We also learn more quickly from our mistakes and use greater creativity and problem-solving skills in order to gain knowledge or achieve positive learning outcomes. Yet all of these benefits are essentially connected to one thing: student participation. Gamification can help you get involved by turning seemingly boring study chores into exciting new challenges. It just depends on how you choose to view your learning material. Although digital gaming can play a major role in education, gamification isn’t really about video-game playing at all (that would be game-based playing). It is more so about playfulness and approaching education in a way that makes it more interesting for learners. So bearing this in mind, we’ve put together a few ideas and examples to show how lessons can be gamified and made interesting so that students can learn without even realising it! Facing a challenge every now and then is generally a good thing for learner development, but it needn’t be stress-filled. On the contrary, here are some classroom challenges that focus on engaging students by being enjoyable rather than obligatory. Eric Nelson, a US-based educator, took the idea of fantasy football but replaced football teams with countries. Students were asked to select countries for a news ‘draft’, with the countries frequently making the headlines scoring more points than those that rarely featured. After some time, student interest in international developments and political issues increased as they actively followed news reports to see which country would be next to make the headlines so they could score points and improve their leader board position. Nelson named his class challenge ‘Fantasy Geopolitics’. Students became so invested in the game that they created a Facebook page to post and discuss international news outside of school hours. – Paper planes and the power of physics! Science is fascinating, but it can often be difficult to apply theories and formula to everyday life. This paper plane challenge does just that by introducing certain principles of aerodynamics and physics in a fun way. Despite how it might sometimes seem, the information that’s contained in school lessons isn’t boring; what may negatively affect your view of it might be getting bogged down in the technical aspects of a lesson while struggling to really relate to the content on a personal level. But the more you know, the more you can apply your knowledge to things in creative new ways. Take, for instance, this piece in which the author calculates the weight of the Jedi Master Yoda using physics. Or how about using pop culture icons such as Taylor Swift to open a discussion exploring ideas of cultural context or the role that the media plays in forming public opinion? While online articles such as those mentioned above can be used as valuable jumping-off points for engaging classroom discussions, putting together interesting content of your own can be equally rewarding, particularly if it’s shared and discussed among friends and classmates. Have a look at some of the user-created resources below for ideas on how to approach diverse areas such as literature, philosophy and history in a more active way. Sign in to start creating Flashcards and Mind Maps of your own. Educational videos have long been used in classrooms. Teachers would wheel out an over-sized stand with a video player and analogue TV set and stick on some instructional feature about heaven-knows-what. But technology has moved on, and now students and teachers can access unlimited video content on computers, laptops or mobile devices. Of course, these are just some examples out there. The key to gamified learning is to experiment to find what works best for your own learning needs. Naturally it can be a little overwhelming trying to find informative or inspirational content. In this sense, GoConqr offers a great starting point as your public library contains millions of study resources covering almost every topic imaginable. And when you find what you’re looking for, you can turn creator by copying and editing the content in whatever ways you want. It’s study, only different. You could even call it serious fun. This entry was posted in ExamTime Blog Posts and tagged gamification, gamifying education, learning by playing. Bookmark the permalink.